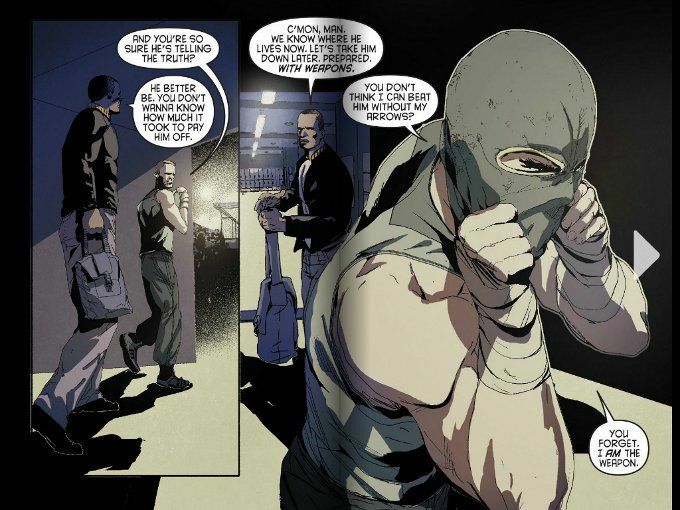 'Caged' marks a first for the Arrow comic, as this story is told entirely from the perspective of John Diggle. Our story focuses upon Ollie as he enters into a secret biannual cage fight. One of the people on The List, who fights under the unlikely nickname of Deathride, lives in total seclusion and only comes out twice a year to defend his champion title. The only shot Ollie has at getting close to the man is to fight in the tournament himself - a move which Diggle recognizes as patently idiotic until he realizes that Ollie's desire to fight is not entirely due to his father's dying wish. Sadly, the plot of this issue is strictly by-the-numbers. If you've seen any movie based around an important martial arts tournament, you've seen this one. Ben Sokolowski and Moira Kirland just make the story readable by showing us the action from Diggle's point of view, but only just. We can only assume that this story takes place sometime before Muse of Fire because Diggle's astonishment that Ollie would rather fight it out in the arena rather than pay off Deathride's manager for his address seems somewhat naive of the man who saw through Ollie's motivations in wanting to "save" Helena Bertinelli. Thankfully, the artwork by Eric Nguyen makes up for the lackluster plot. Smooth and stylized, Nguyen captures the essence of the characters from the show and does a fine job of depicting the martial arts action. Indeed, many panels look as if they might have been stills taken from a modern fighting Anime. 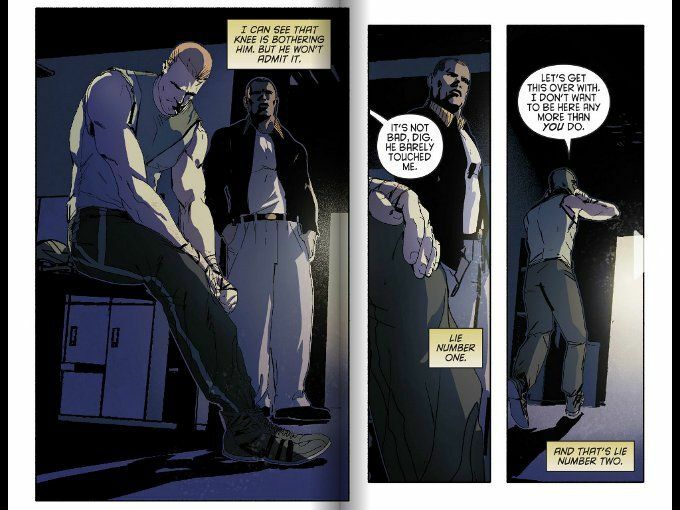 Bottom Line: You can skip this issue of Arrow if you're not into martial arts. But if you can stomach a lackluster story for some good artwork or are enough of a Digg fan to want to see a story told from his POV, give this one a shot.